27 year old Lorenzo jumps incredible obstacles at a gallop while standing on his 8 grey Lusitano horses. Called “The Flying Frenchman,” Lorenzo perfects his routines on the beach near his home town of Saintes Maries de la Mer in southern France. His popularity has led this equestrian prodigy to perform at many prestigious venues, including the World Jumping Championships in Calgary. 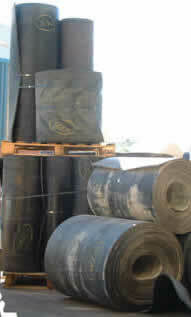 Advantages Beyond Savings – Belting is lighter than rubber mats, so it is easier to pull up for moving/cleaning; also suitable for crosstie areas, washracks, and alleyways. Expense – Often free for hauling; sometimes costs 1$to $3 per running foot. Savings As much as $240 perstall! Think your horse is bombproof? I am proud to say that I have a horse or two I consider brave souls but this is absolutely amazing. Demonstration of new training aid for horse riders. With input from top stuntman and horsemaster Ian Van Temperley. I dont know where you would actually purchase this product but I thought it was an interesting concept. Not all of my horses are cut out for the school horse life, I’ve been looking for other ways they can pull thier weight … maybe I should get them a paint brush? But, is it art? Many critics claim that art is strictly a human experience–that emotion, intelligence and self-awareness are necessary to express oneself artistically. After watching Cholla and Wise work, it’s obvious that the horse displays his intelligence and training to create beautiful pieces of art. Every human artist learns technique from some sort of teaching, not unlike Cholla’s experience. Who is to say what other species are capable of expressing. I say Cholla is a real artist. If you could ride any horse on God’s green earth you wanted (past or present) but had to pick just one which would it be? I love all kinds of riding, and have a dozen favorite breeds… but nothing like riding a good cuttin’ horse. A good cutting horse loves his work and will, with no cue from his rider, “duck and dive” dramatically in order to hold a cow. Cutting horse events evolved originally in Texas, where cowboys took special pride in owning a horse who would work cattle on his own volition. A cutting horse separates a cow from the herd under his rider’s direction; when the animal is parted away from the group, the rider drops the reins and allows the horse to “hold” the cow on his own. The cow, being a herd animal, will usually make a strong effort to return to the others, and the sometimes spectacular gymnastic efforts the horse will make to keep the cow separate are the basis for the cutting horse event. Horses are judged on how well they do this job, and points are taken away for specific mistakes. In this next video a horse continues to cut after his rider takes a clumsy fall. It shows the cow instinct these horses have. But then, most of the life of Smart Little Lena has been mind-boggling. From the moment Smart Little Lena hit the ground as a son his legendary sire, Doc O’Lena (the only horse to win all go-rounds and the finals of the NCHA Futurity), he was different. 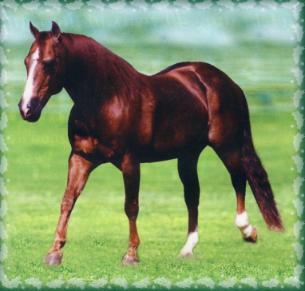 Out of Smart Peppy, a daughter of 1967 World Champion Cutting Horse Peppy San, he had a stellar pedigree and he should have looked and acted regal. However, that wasn’t the case. “He was no bigger than a German Shepherd when he was born,” said Antoinette Chatham, wife of his breeder Hanes Chatham, who at that time lived in Pilot Point, Texas. And he wasn’t exactly “the pick of the litter,” as he was scrawny and dubbed by some as “the ugly duckling.” In fact, the other horses in the pasture shunned him, so for entertainment, he chased butterflies. 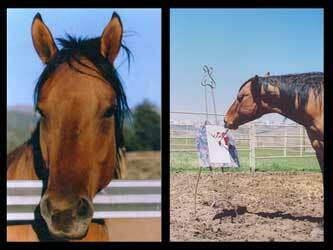 Smart Little Lena soon became the family pet but Hanes needed income to help support his expensive horse habit. Since Smart Little Lena wasn’t born until July, Hanes waited until he was 25 months old before he broke him. Since he wasn’t able to sell him privately, Hanes paid to have him put in the lucrative NCHA 2-Year-Old Futurity Sale; however, after having the colt on cattle for 60 days, he had second thoughts. “I’d been trying to raise a colt like him for the past 10 years,” said Chatham, realizing that he could be making the biggest mistake of his life. But he still needed some additional income, so he decided to sell just half of the colt. In an article in Horse & Rider, Bill said that the first time he rode Smart Little Lena, he knew he had something special. After three days, Freeman called Chatham, telling him “he was his partner.” Freeman said that Smart Little Lena was the best prospect he’d ever ridden – but he didn’t have the $30,000 that Chatham was asking for half interest and his bank had refused his request for a loan. Making matters worse, a freak snowstorm had just killed 43 head of cattle on which Freeman had borrowed $88,000. But Freeman had enough faith in Smart Little Lena’s ability that he sold the remaining cattle, and instead of paying the bank off, he paid for half of Smart Little Lena. Obviously, the banker was unimpressed and gave Freeman 90 days to pay off the cattle loan. It was then that the idea to syndicate the stallion originated. But Smart Little Lena was young, unproven and had never bred a mare, so only 17 were sold, Freeman was able to pay off the bank and buy more cattle. However, before the honeymoon started, the marriage was almost over. Smart Little Lena and another 3-year-old had ingested blister beetles in a flake of alfalfa hay. The other colt died, but Smart Little Lena had not eaten as much, and miraculously survived, even though he was near death for two days. He was rested for a month and then headed to the NCHA Futurity. The rest is history. 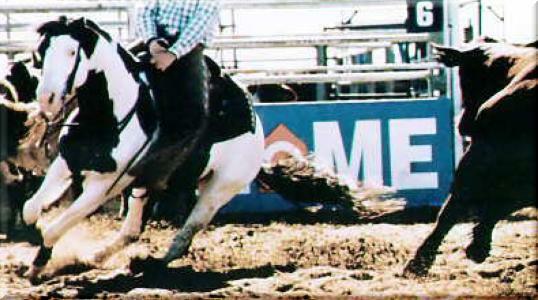 Smart Little Lena went on to win the NCHA Futurity and Super Stakes and tied for the NCHA Derby title. He was named the NCHA’s first Triple Crown Champion. “After I won the Futurity, I went in and laid the win check, which exceeded a quarter of a million dollars, on the bank president’s desk,” said Freeman. Lena would go on to win $743,275 lifetime earnings, in just 8 shows!